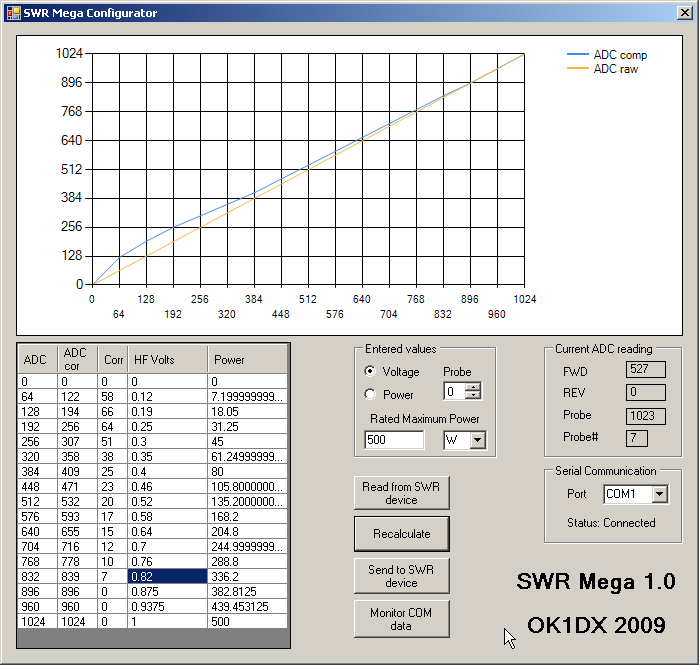 Version 1.1 (Apr 6, 2010) changes: SWR calculated using peak measured value (average value used earlier), indication of overload (too high forward power), "!!!" shown instead of SWR value. New update 25.4.2012 Several people asked me to modify program for different LCD display sizes. Currently there is support for 2x40, 2x24 and 2x20 chars models. But I still recommend the large scale 2x40 because of best bar resolution and more text information. 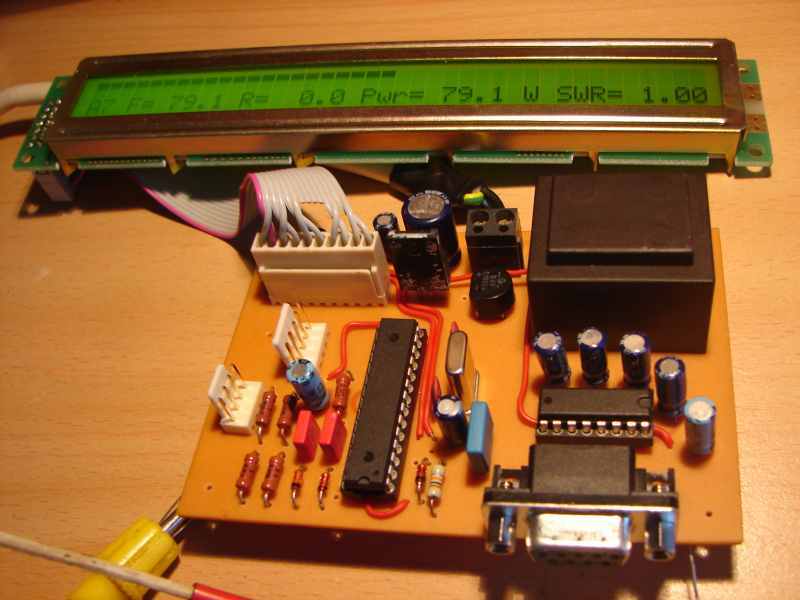 There is also possibility to use internal 2.56V voltage reference for ADC instead of 5V - for situation you have a probe giving max 2.56V (you must also disconnect AREF pin from +5V but keep it blocked by capacitor!). See the #if switches in source code... I publish HEX files for all display sizes for 5V standart reference voltage. Remote display application added to package. 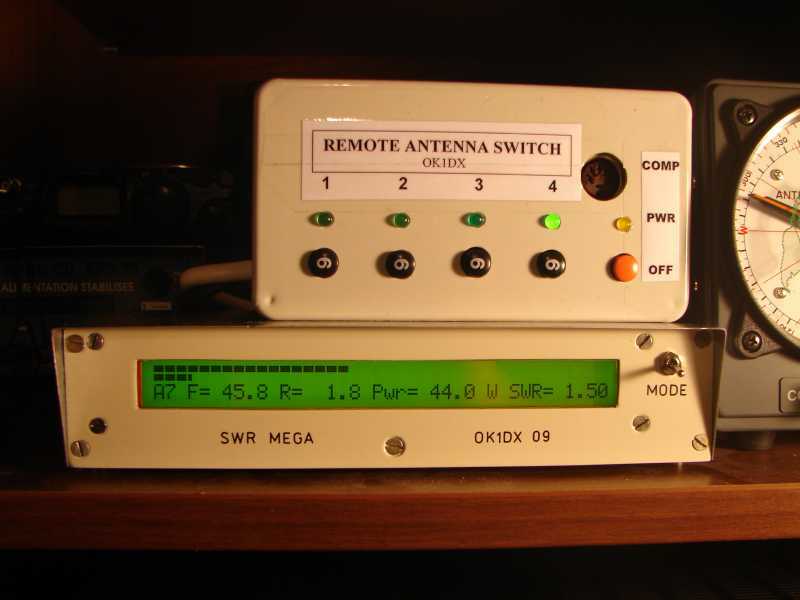 display numerical values for forward power, reflected power, real power and SWR. Selection between peak or average values. 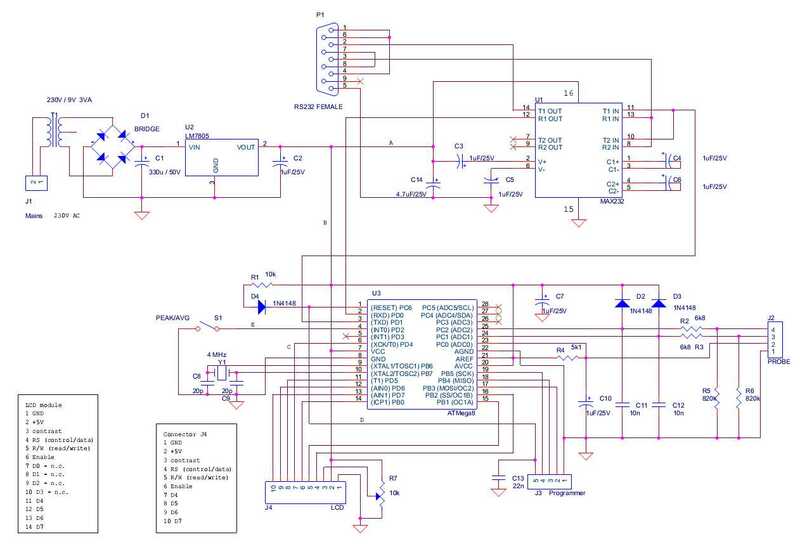 I use LCD display type Solomon LM1030SYL, 2 lines, 40 characters each, based on standard chip HD44780. I don't expect compatibility problem with other similar models. Just one experience: some product (very few) have different pin layout (esp. 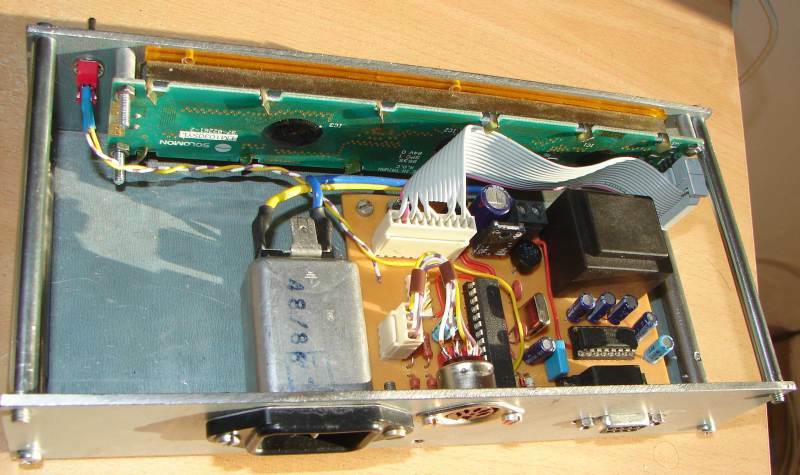 crossed ground and +5V), so check carefully documentation of your particual model. LCD display 2 lines 20 character each has been tested as well - the bar indicator resolution is sufficient, the bottom line shows only probe ID, power and SWR (there is a parameter in source code defining display width resulting in another HEX firmware; the EEP is the same). Probe design is not yet part of the project. Perhaps when I build a probe that I like I will publish it here as well. But - currently a lot of designs exist... The basic probe parameters: maximum voltage (full range reading) is +5V DC, the same range for reverse and forward signals. The meter is very low load for the detector, in range of 1 MOhm. 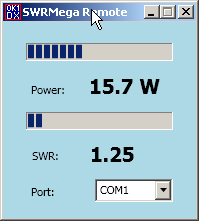 Remote display - a simple Windows application reading power/SWR data from SWRMega over serial port. The project is hamware, free for radio amateurs and non commercial usage (that means, to build one copy for you, not for sale). For all other purposes please contact me. 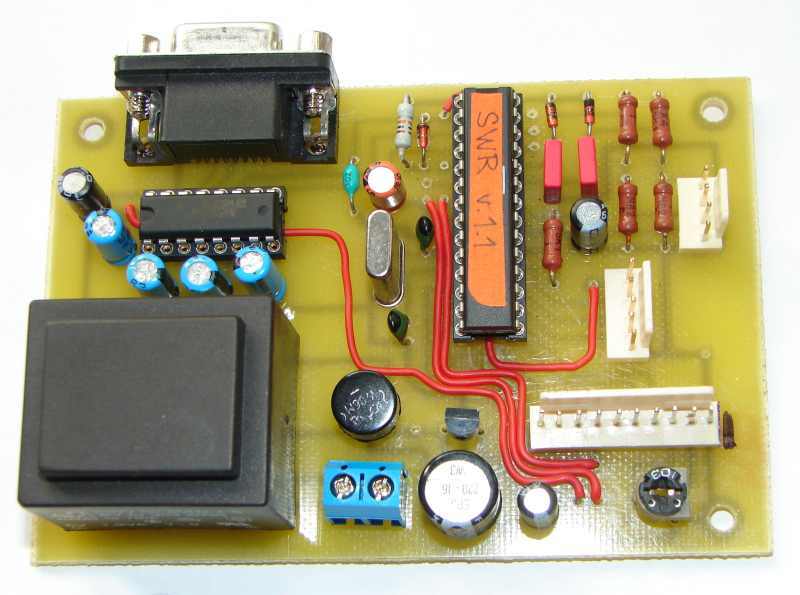 I have an experience some HAM's ask me for help to get the microcontroller, to program it etc. I try my best to help them, but it is just a hobby and I have limited resources... About the PCB - I have no possibility to produce the boards. 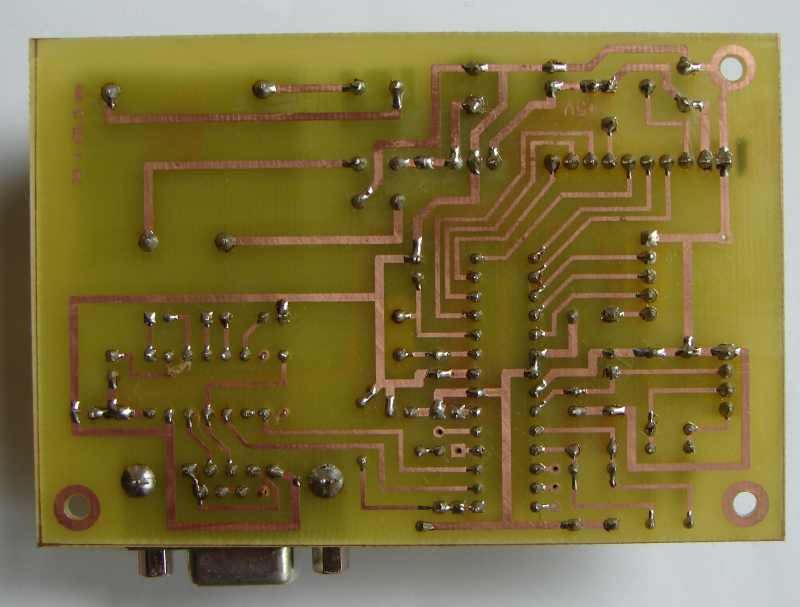 Anyway, if you are in position you can arrange the PCB for others, please let me know and I will publish contact to you here. 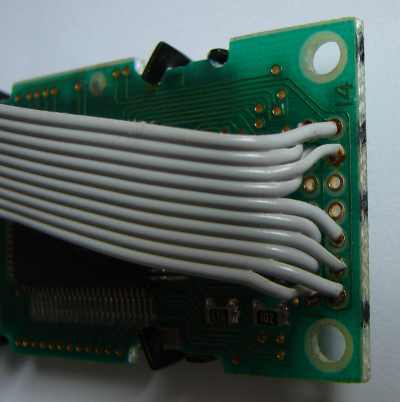 Don't forget to connect the display correctly (pins D0-D3 not connected)!